Up the Yangtze - EyeSteelFilm - the adventures of Montreal's award-winning filmco. A luxury cruise boat motors up the Yangtze, navigating the mythic waterway known in China simply as “The River.” In the biggest engineering endeavour since the Great Wall, China has set out to harness the Yangtze with the world’s largest mega-dam. Meanwhile at the river’s edge Yu Shui says goodbye to her family and turns to face the future. From their small patch of land, her parents watch the young woman walk away, her belongings clutched in a plastic shopping bag. The waters are rising. The Three Gorges Dam, gargantuan and hotly contested symbol of the Chinese economic miracle, provides the epic and unsettling backdrop for Up the Yangtze, a dramatic and disquieting feature documentary on life inside the 21st century Chinese dream. Stunningly photographed and beautifully composed, Up the Yangtze juxtaposes the poignant and sharply observed details of Yu Shui’s story against the monumental and ominous forces at work all around her. Among the two million losing their livelihood to the dam, the Yu family must send their daughter off to work. In a bitter irony she’s been hired by Farewell Cruises, part of the strange apocalyptic tourist trade that thrives along the river, offering a final glimpse of a legendary world before it disappears forever. Life onboard mirrors the hierarchy of the wider world. Western passengers take in the spectral views, consuming entertainment on the spacious upper decks, while Yu Shui toils in the galley down below, vying with workmates for the few permanent positions. A shy country girl, she must compete with young show-offs like Chen Bo Yu, an urban kid with the over-confidence typical of single sons, the “little emperors” of China’s one-child-only policy. All the while the ship charts a course towards its controversial destination, travelling upriver through a landscape of unprecedented upheaval, as ancient and revered sites give way to the burgeoning candy-coloured towers of China’s neon future. Back at the river’s edge, far from the bright lights, Yu Shui’s parents assemble their humble possessions as the floodwaters rise. Chinese-Canadian filmmaker Yung Chang directs it all with insight and cinematic flair. Drawing inspiration from contemporary Asian cinema and post-war neo-realism, he crafts a compassionate account of peasant life and a powerful documentary narrative of contemporary China. Yung Chang is the director of Up the Yangtze 《沿江而上》(2007), China Heavyweight 《千錘百鍊》(2012), and The Fruit Hunters (2012). He is currently completing a screenplay for his first dramatic feature, Eggplant, 《茄子》 and developing a feature documentary about Robert Fisk, the controversial Middle East correspondent. In 2015, Chang was selected to participate in the prestigious Sundance Labs for Eggplant, 《茄子》. His latest, Gatekeeper, is on the festival circuit and streaming on Field of Vision, Laura Poitras’ curated online film unit. 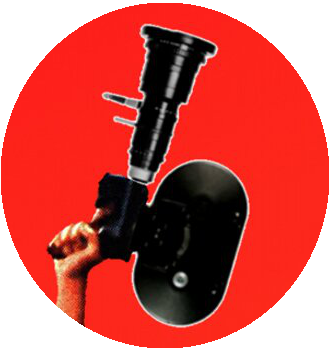 Chang’s films have screened at international film festivals including Sundance, Berlin, Toronto, and IDFA and have played theatrically in cinemas around the world. Up the Yangtze was one of the top-grossing documentary releases in 2008. In 2013, China Heavyweight became the most widely screened social-issue documentary in Chinese history with an official release in 200 Mainland Chinese cinemas.His films have been critically-acclaimed, receiving awards in Paris, Milan, Vancouver, San Francisco, the Canadian Screen Award, Taiwan Golden Horse, Cinema Eye Honors, among others and have been nominated at Sundance, the Independent Spirit Awards and the Emmys. ​Chang’s films have been shown on international broadcasters including PBS, National Geographic, ARTE, ZDF, Channel 4, HBO, TMN, NHK, CBC, TV2, SBS and EBS. Chang is the recipient of the Don Haig Award, the Yolande and Pierre Perrault Award, and the Guggenheim Emerging Artist Award. He is a member of the Directors Guild of Canada. In 2013, he was invited to become a member of the Academy of Motion Picture Arts and Sciences, the organization behind the Academy Awards / Oscars®.